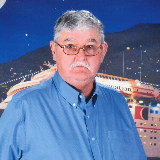 Charlie Steele, 66, of Gower, MO passed away to be with our Lord in Heaven, Friday, July 27, 2018. He was a member of the First Baptist Church in Gower, MO. Charlie served his country in the U.S. Navy. He was a retired truck mechanic and an avid fisherman. Charlie enjoyed traveling and spending time with his kitties. He was preceded in death by his parents, Don and Fannie Thompson, and his brother, Walter Thompson. He is survived by his wife, Norma; and many loving family members and friends. Memorial Service: 11:00 a.m. Monday, July 30th at the First Baptist Church in Gower with visitation one hour prior to the service. The family requests in lieu of flowers, donations to the First Baptist Church of Gower. Arrangements, Hixson-Klein Funeral Home, Gower.